When Facebook launched its Facebook Messenger app a lot of people were skeptical about Facebook having a ton of different apps. They thought that it’s not going to work. Messenger proved them wrong and currently has 1.2 billion monthly users. That being said, there are a ton of businesses that now use Messenger to get more engagement, convert leads to customers, and get more sales. We did some research and found out the best Messenger growth hacks for you to experiment with. Chat is a much more effective communication method than email. Let’s be honest, do you open every single that comes to your inbox? Nope. me neither. What about a chat message? I do, every single time. It’s informal, short, and exciting. We are programmed to open chat messages. When we get that ping we want to stop everything and check the message. Marketers are using chatbot platforms like ManyChat to build chat popups instead of email popups, and they are getting incredible results. According to Neil Patel, chat messages got him an 88% open rate and 56% click-through rate. If you compare that to the average email open rate that is about 4-5 times more powerful. 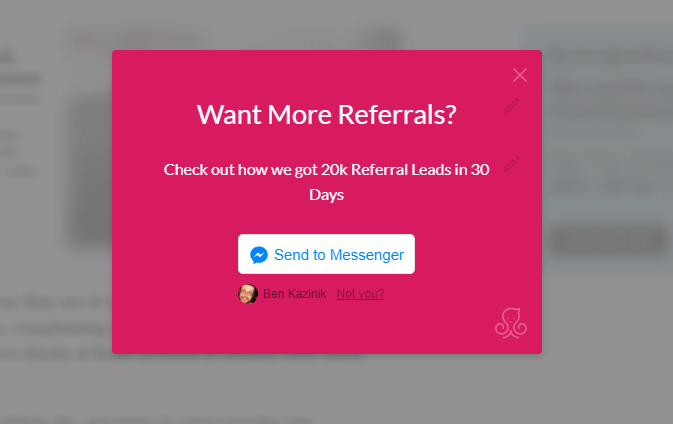 What if you wanted to create a lead magnet and capture all of your leads on Facebook Messenger? You can ManyChat to create a landing page as easily as you would create a popup. I actually tried this a few weeks ago using a LinkedIn post. I wrote a post on LinkedIn that received almost 28,000 views. I wrote about a content strategy and put a link to the strategy itself. The link would bring people to my Messenger landing page and if they clicked the “Send to Messenger” button they would receive a message from me and be added to my chat subscription list. The advantage of using Messenger to send content are those high open and click-through rate, but it allows for better advertising. You can create similar audiences to the people on your list and get more clicks on your Facebook ads. It also creates a much more engaging experience for your followers. As you can see, he actually uses Facebook native video in his messages, making it even more personal. As you can see Andrew actually created a sequence of chat messages that the user activates by continuing to click the buttons. You can use Chatfuel or ManyChat for that. 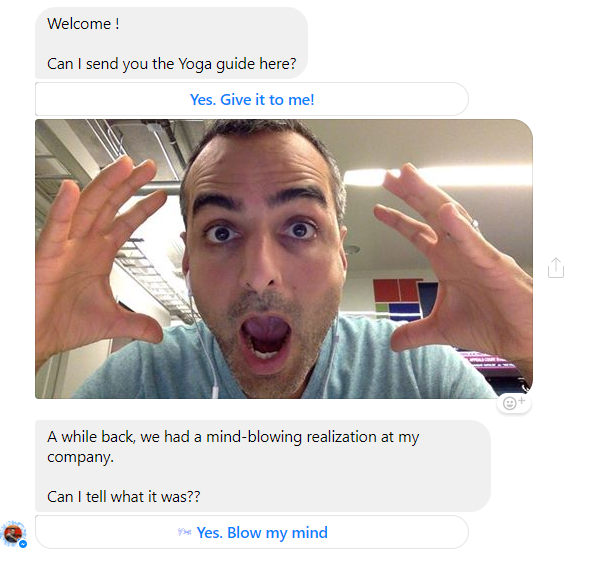 It’s easy to see how you can use Facebook Messenger to launch a product – look at those crazy engagement statistics and the wacky videos and images you can send. 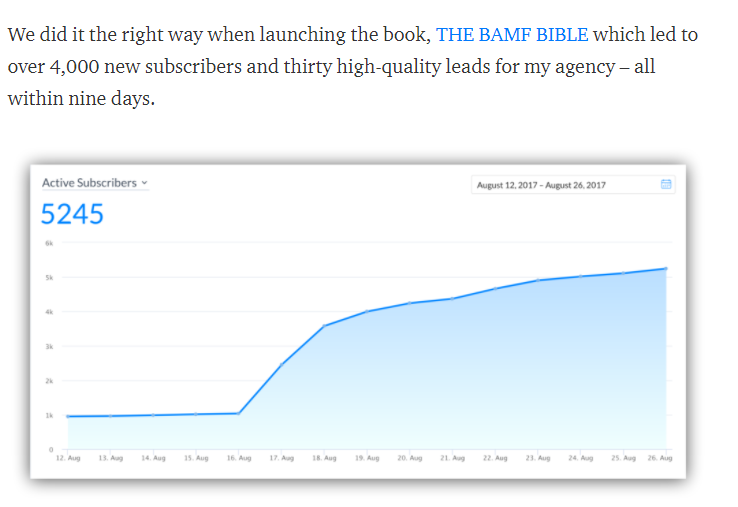 Josh Fechter actually used this technique to launch his Bamf Bible on ProductHunt a few months ago. It was the most successful book launch in ProductHunt history. He used Messenger popups and landing pages for his lead generation machine on his site, on Quora and on LinkedIn. He built up momentum and excitement for the launch by sending several messages about it on Messenger. 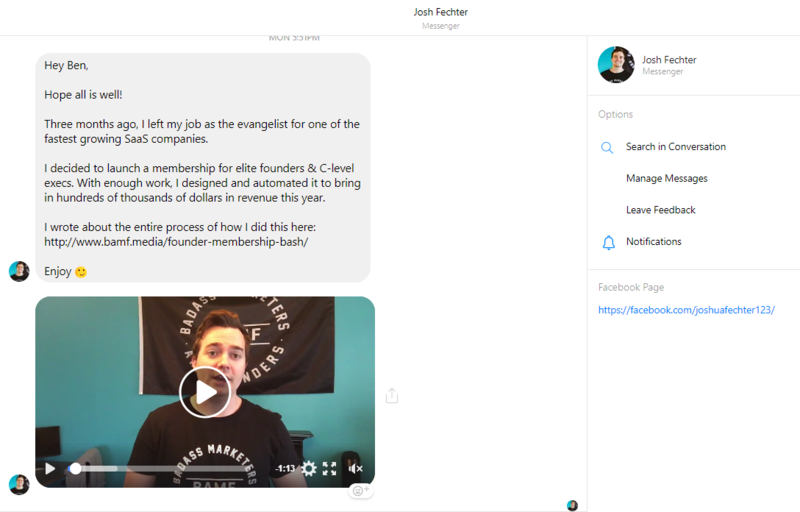 Josh not only received over 4,000 signups to his Messenger subscription list but also was able to get a ton of traffic to his book launch and to his website, which translated to more leads and more sales for his growth marketing agency. 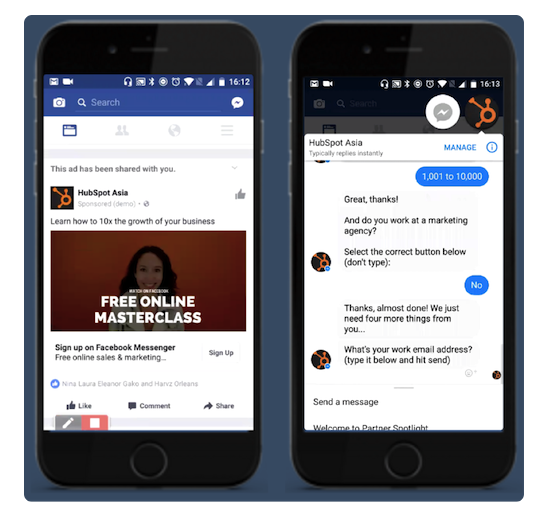 Hubspot did an experiment where they tested new uses for Messenger in their business. One of their ideas was to create a sign-up form that was completely executed through chat messages. The company runs a lot of Facebook ads to generate leads. When the user clicks on the ad they are taken to a form that they fill up. This process is counter-intuitive because the form takes them out of Facebook. Instead, they created a chatbot sequence that would ask for the same information from the lead. It was not only interactive but kept the person on Facebook, creating a much simpler process. The results – Hubspot was able to decrease their cost per lead by 477%. 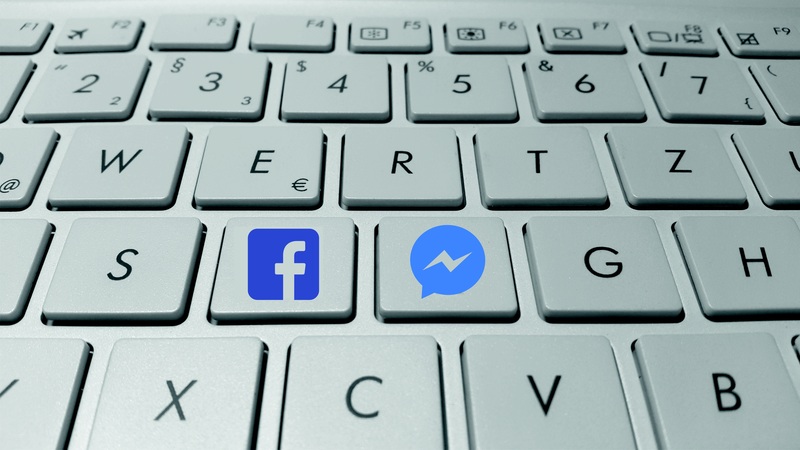 A ton of businesses are using Facebook Messenger to increase lead conversion, traffic to their site, and sales of their products and services. Chat messages are more personal, shorter, and have much higher open and click-through rates. The feeling that people get when they receive a chat message from their favorite brand is that that brand really cares about them. They also expect it to be an engaging message, with videos, images, and emojis. There are a number of ways to use Messenger. 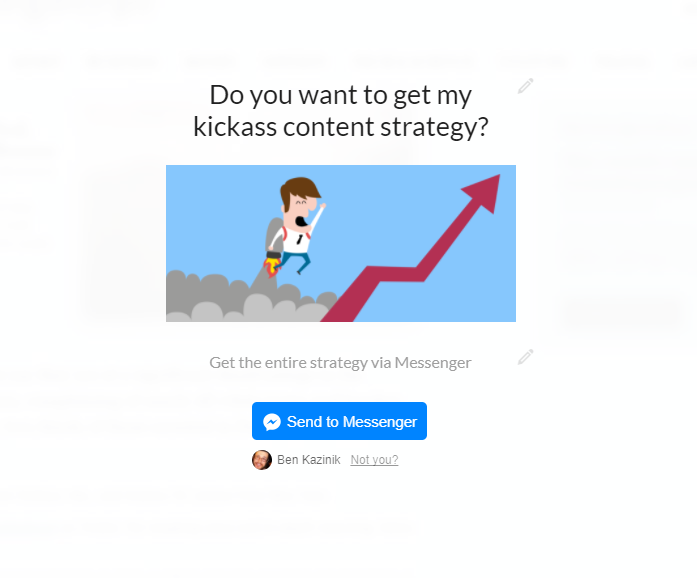 You can create chat popups, landing pages, and even forms. You can also send out weekly content updates through chat and launch products.